You are at:Home»iPhone»Sounds»iPhone Speaker Not Working? Here’s The Real Fix! When an iPhone’s speaker stops working, so do many of the features that make the iPhone so great. The music stops playing, you can’t make calls using the speakerphone, and you don’t hear a “ding” when you receive a text message or an email. One thing’s for sure: Your iPhone uses its speaker a lot. In this article, I’ll explain what to do when an iPhone speaker is not working so you can fix the problem for good. Is My iPhone Speaker Broken? Software: Your iPhone’s software decides which sound to play and when to play it. Hardware: The built-in speaker on the bottom of your iPhone converts the software’s instructions into sound waves you can hear. What Causes iPhone Speakers To Stop Working? If the software is malfunctioning, your iPhone may not be sending the proper signals to the speaker, so the speaker doesn’t work at all. Here’s the good news: Most software problems can be fixed at home. Unfortunately, the hardware is a different story. The iPhone speaker is one of the most damage-prone components on iPhones. Speakers make sound waves when a very thin piece of material vibrates very, very quickly. 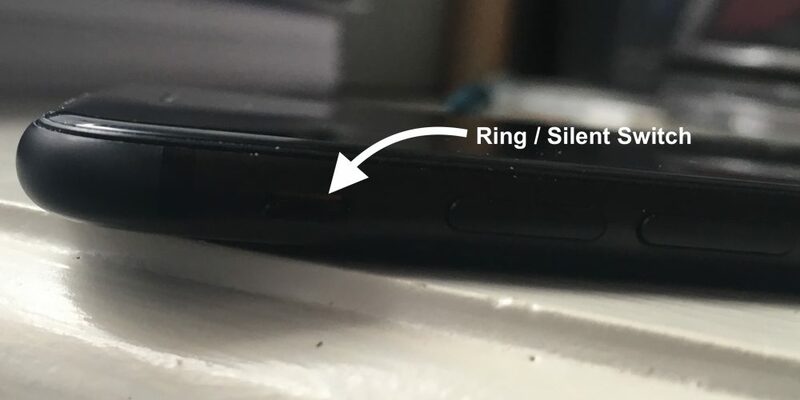 If the material is damaged in any way, your iPhone speaker can stop working entirely, or start to make static noises (see my other article). How Do I Know Whether It’s A Hardware Or Software Problem? When I worked with customers with speaker problems, I would always try to fix the iPhone’s software before replacing the speaker itself. Software is free to fix and speakers are not, but that’s not the only reason why. If there is a software problem, we could replace the speaker again and again and the iPhone still wouldn’t play sound. This happens all the time to people who replace their iPhone batteries and are surprised when their battery drains just as fast or even faster. Later, they realize the battery drain problem was being caused by software all along. It happens all the time. A customer comes into the Apple Store and we fix the problem by turning up the volume and flipping the silent switch to the “Ring” position. Check out my article called My iPhone Won’t Ring if your speaker is making some sounds but doesn’t ring when you receive a phone call. It’s easy to accidentally turn the volume all the way down on your iPhone or flip the silent switch if you’re using a big, bulky case. Unlock your iPhone and hold the volume up button until your iPhone is turned all the way up. I’ve worked with customers who say, “Oh! I was wondering where the volume buttons were! If the volume isn’t turning up even as you hold down the volume up button, open the Settings app and tap Sounds & Haptics. Make sure the switch next to Change with Buttons is turned on (you’ll know it’s on when it’s green). 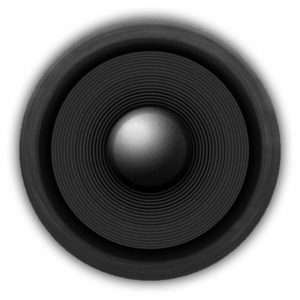 If you turn the volume all the way up and you hear sound playing very, very quietly, your speaker is damaged. Skip to the last step to learn about your repair options. When headphones are connected to your iPhone, all sound plays through the headphones, not the speaker. Here’s the tricky part: If your iPhone thinks headphones are plugged in but they’re not, your iPhone tries to play sound through headphones that aren’t there. This usually happens when a piece of debris or small amount of liquid gets inside of the headphone jack and “fools” the iPhone into thinking headphones are plugged in. 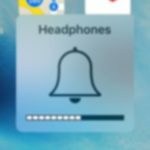 If you see Headphones under the volume slider when you turn the volume up or down, check out my article about why iPhones get stuck on headphones mode to find out how to fix it. You have an Apple TV that’s hooked up to your TV. At some point in the past, you used AirPlay to play music through your TV speakers. When you come home, your iPhone reconnects to the Apple TV and continues streaming music through it — but the TV, and the speakers, are off. 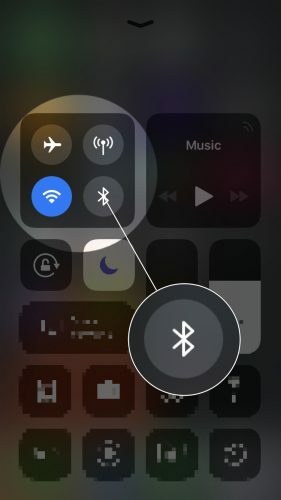 To make sure your iPhone isn’t playing music somewhere else, we’ll turn off Bluetooth, disconnect from AirPlay devices (like your Apple TV), and try playing sound again. You can accomplish both using Control Center on your iPhone. To activate Control Center, use your finger to swipe up from the very bottom of the screen. Tap the Bluetooth icon (in the box in the upper left-hand corner of Control Center) to turn off Bluetooth. Next, press and hold the music hub in the upper right-hand corner of Control Center and tap on the AirPlay icon. Make sure there is only a small checkmark next to iPhone. If your speaker starts working again, you’ve fixed your iPhone and discovered the cause of the problem. There’s only one way to be absolutely sure your speaker is broken, and that’s to restore your iPhone. Back up your iPhone first, then follow my instructions in my article about How To DFU Restore An iPhone, and come back here when you’re done. After the restore finishes, you’ll know almost immediately if the problem is solved. Make sure your iPhone isn’t on silent mode (see step 1) and the volume is all the way up (see step 2). You should hear keyboard clicks as soon as you start to type your Wi-Fi or Apple ID password as part of the setup process. If you still don’t hear anything, we’ve eliminated the possibility that your iPhone’s software was causing the problem, and unfortunately, it means your iPhone speaker is broken. But don’t despair — there are good options available for repairing an iPhone speaker. If your iPhone speaker is broken, the good news is that Apple does replace iPhone speakers both at the Genius Bar and through their mail-in repair service at their support website. 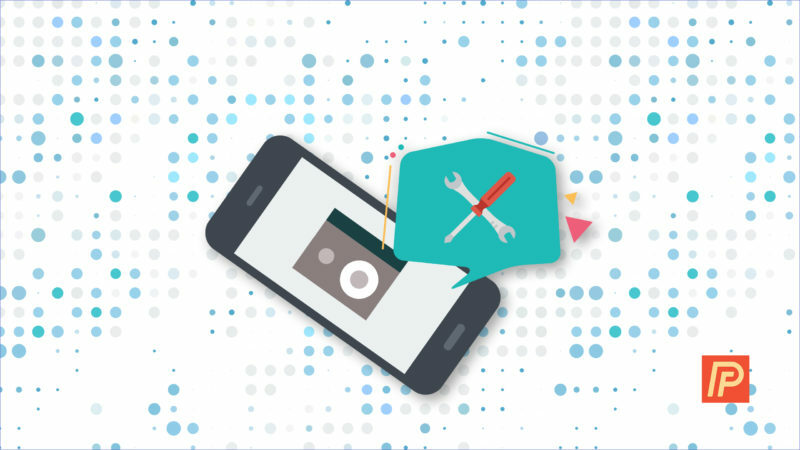 There are less-expensive alternatives too: One of our favorites is Puls, an iPhone repair service that will meet you at a location of your choice in as little as 30 minutes and repair your iPhone on the spot. Puls also offers a lifetime warranty. If you go the Apple Store route, make sure you make an appointment first, because they can get really busy! iPhone, I Can Hear You! By this point, we’ve either fixed your iPhone’s software or we’ve determined that your iPhone speaker is not working because of a hardware problem and you know how to get your iPhone repaired. If you have time, share how you first realized your iPhone speaker wasn’t working and which fix worked for you in the comments section below—that will help other people with the same problem. Previous ArticleiPhone: Leave This Conversation Grayed Out or Missing? The Fix! Next Article Is Closing iPhone Apps A Bad Idea? No, And Here’s Why.